Member of initial Council (sources: Brewer, 1903; Merrill, 1903; Fairchild, 1932). Personal. 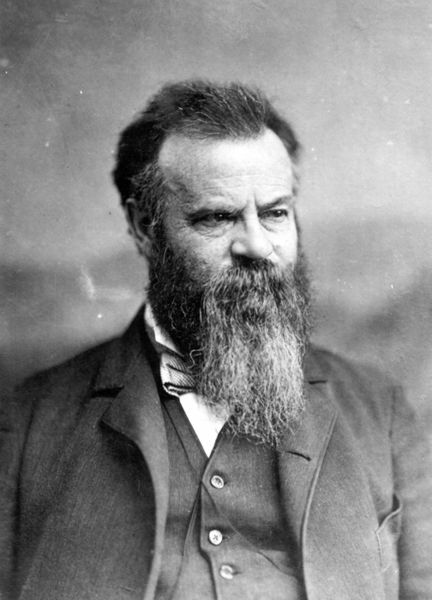 John Wesley Powell was born in Mount Morris, New York, on March 24, 1834, and died from cerebral hemorrhage in Haven, Maine, on September 23, 1902. His parents were English. His father was a Methodist clergyman who came to America only a short time before his son’s birth. Because of the nature of his profession, the family moved often, involving residence in New York, Ohio, Wisconsin, and finally Illinois. Powell was mostly self-educated. He did not attend any school continuously, spending short intervals in schools when opportunities arose, and spending much time in roaming the outdoors exploring nature and collecting specimens related to botany, zoology, and geology. He also taught in several country schools. When the Civil War broke out in 1861, Powell enlisted as a private in the Illinois Volunteers and rose through the ranks to Major. He lost his right arm at the Battle of Shiloh. Upon recuperating, he returned to the Army to finish out his service as Brevet Lieutenant-Colonel, though he was widely known as Major Powell thereafter. With the war over, Powell became Professor of Geology and Curator of the Museum at Illinois Wesleyan University and later became similarly affiliated with Illinois Normal University. In 1867 Powell visited the Rocky Mountains of Colorado with his wife and students where he explored the Pike’s Peak and Middle Park areas. In 1868 he traversed a considerable part of the Colorado Rockies. In 1869, from 24 May to 29 August, Powell, with 10 men in 4 boats, explored the Grand Canyon of the Colorado River, a trip that brought him great prestige and renown and assured him a place in the annals of great explorations. In 1870 Powell became head of what became the Geographical and Geological Survey of the Rocky Mountain Region, a federally financed organization in competition with the Hayden Survey and the Wheeler Survey. He remained in this position until 1879 when the three organizations were abolished in favor of the new U.S. Geological Survey (USGS). Clarence King became the first Director of the USGS, and Powell became the second Director from 1881 to 1894. Concurrently, Powell also led the Bureau of American Ethnology, a position he retained after his resignation from the USGS and until his death. Powell married his cousin, Emma Dean of Detroit, in 1862. She and a daughter survived him. Professional. Powell is probably best remembered for his exploration of the Grand Canyon. He extended his studies during the next decade to adjacent areas of the plateau country, especially the Uinta Mountains and the High Plateaus of Utah. His main geologic contributions were studies of the hydrology of arid regions and physiographic studies that stressed the effects of stream erosion, in concert with deformation, on the shaping of the landscape. 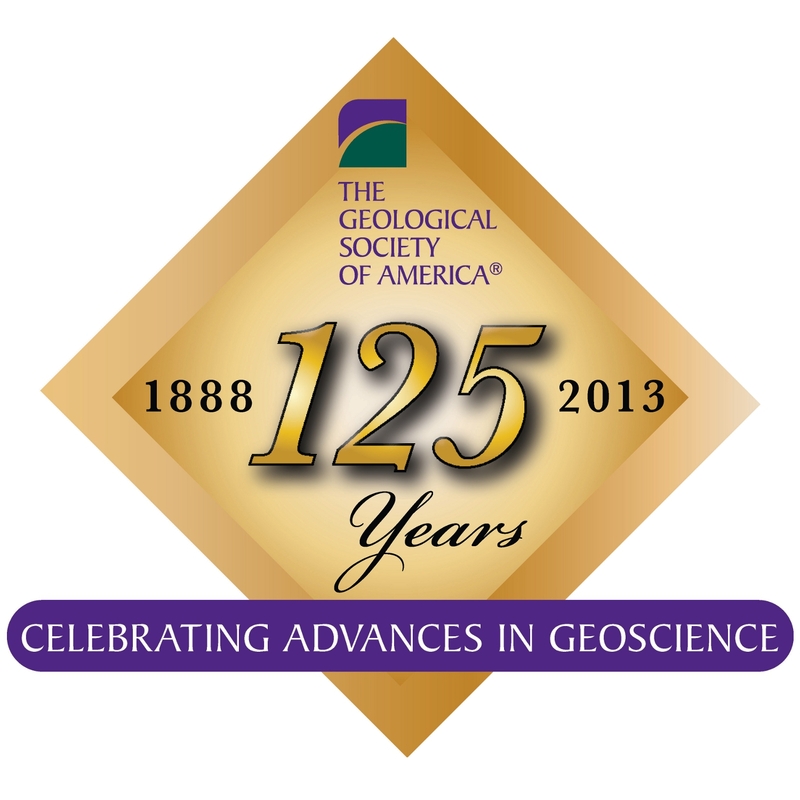 But perhaps more important to the development of American geology as a science was his influence as a scientist-administrator in planning and directing federal exploration surveys of the West; then, in helping to influence Congress to establish the U.S. Geological Survey, and, after, becoming its director, expanding its activities so that the USGS became a major science-based government bureau. Less well known to geologists is that Powell studied the ethnology of the western Indian tribes concurrently with his geologic studies. He made significant contributions to knowledge of their distinctive ethnic subdivisions and cultural characteristics. Role as a Founder. Powell was not present at the Ithaca meeting on December 27, 1888, when GSA was born. But that year he was President of the American Association for the Advancement of Science, from which the new geological society would be separated, as well as Director of the USGS. Thus, his support for the new society was crucial. At the first elections of the new society, Powell was selected for the first Council (1889 to 1890). Previous Previous post: What Will Happen to References? Next Next post: Did the lower crust flow on Mars?